An original Duvetica style tweaked and made long line by Katharine. 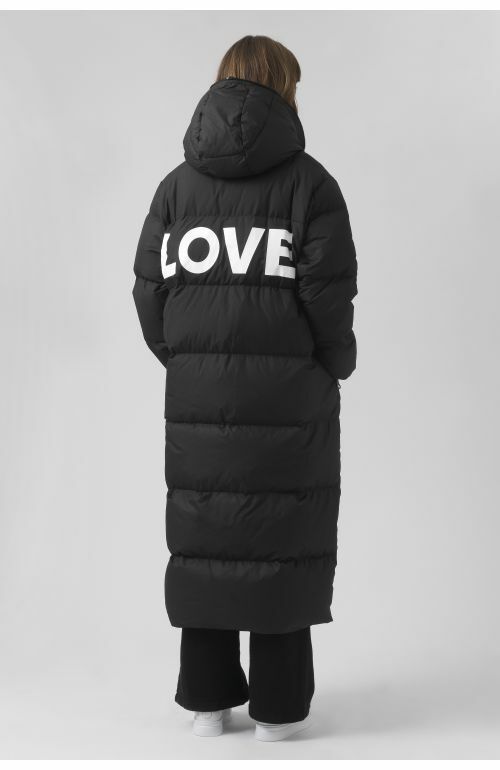 Hooded puffa coat, drawstring hem and two zip side pockets100% recycled polyester shell, filled with 100% recycled goose and duck down. 100% recycled polyester shell, filled with 100% recycled goose and duck down. The model is 5'9.5"/176.5 CM and is wearing size XS. Made in Bulgaria.